DO YOU WANT TO GROW IN POWERFUL, EFFECTIVE PRAYER AND WORSHIP? 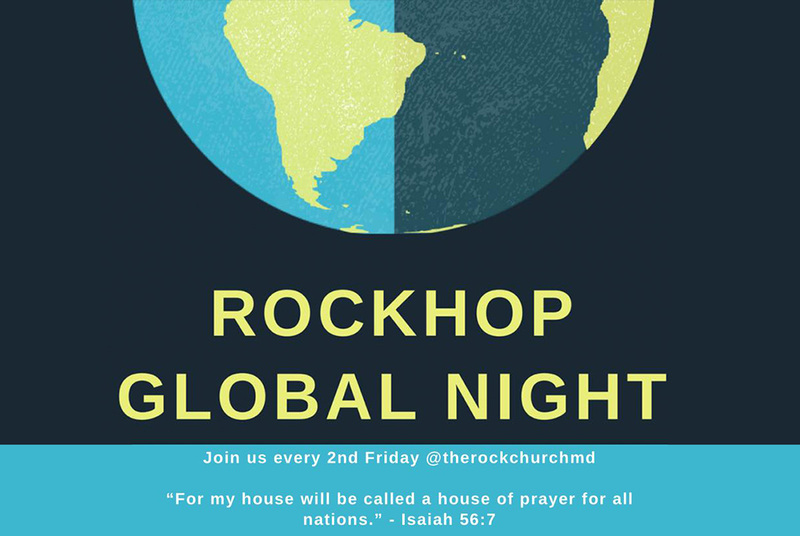 The Rock Church’s House of Prayer (RockHOP) is an important part of our culture as a community, and so we believe training is important as well. We offer personal ministry at each of our RockHOP nights. Receive prayer and encouragement from a trained team of compassionate Jesus-lovers! 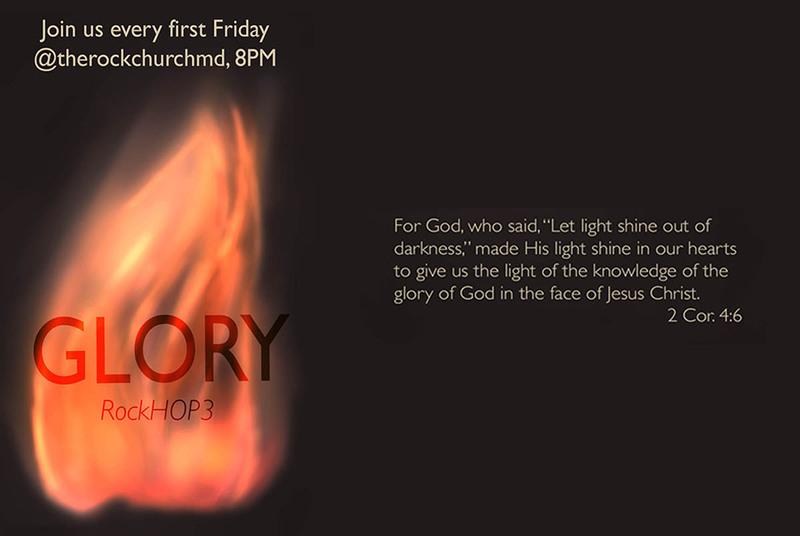 Every first Friday is our Glory night. It is a special time of intimate prayer and worship where we come alive in the presence of the Lord! Whether you need healing (heart, body, or soul), encouragement, or just want to connect in prayer, Glory Night focuses on adoring the One who knows and cares about all of our needs. On the second Friday of every month, we focus our prayer and worship time on the nations! Our ministry partners and friends are often highlighted during this time. Join us as we celebrate, hear and declare in prayer what God is doing all over the globe! 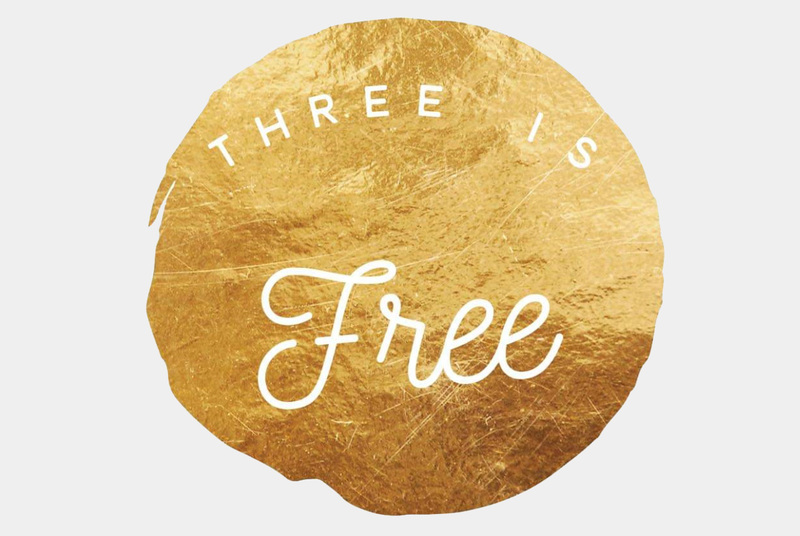 “Three is Free” every third Friday of the month. There is no prayer scheduled, but check out our events page for upcoming special events. 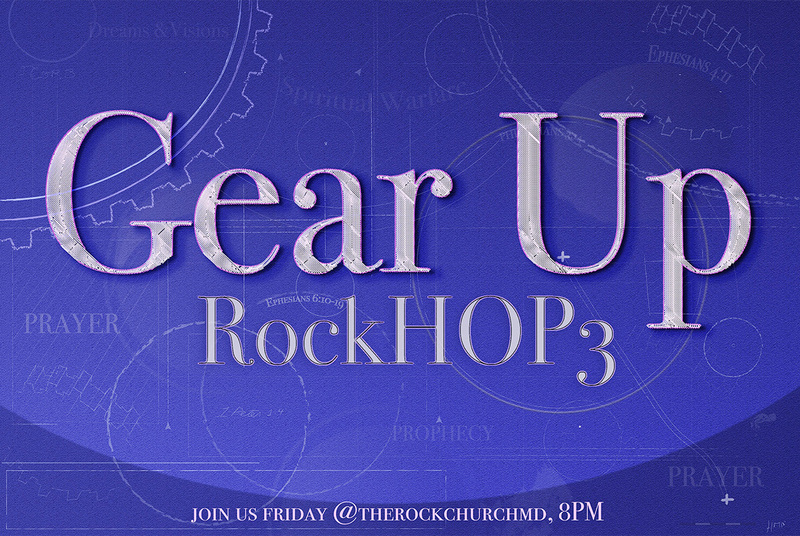 Our “Gear Up” night is designed to equip believers with practical and supernatural insights. These topic driven training sessions feature are geared toward Spiritual Growth and development. Whether we focus on the basics of How to Pray or becoming Equipped in Spiritual Warfare, come experience the presence of God and learn with us through encouraging worship, prayer and hands-on training led by seasoned leaders and speakers! Gear Up nights meet Every 4th Friday evening..